Reliable, precise robotic movement is only possible when hardware and software are married perfectly, and integration is paramount. 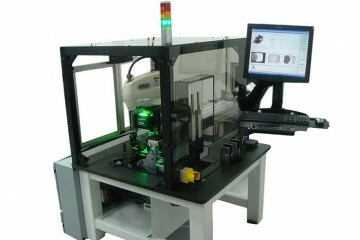 Our company’s robotics automation solutions are often married into larger systems where they perform multi-step sequences in a hybrid robotic process. While simple six-axis robots are readily available commercially, they typically lack the custom programming required to perform precise movements and are without the sophisticated integration configuration necessary for a larger, more complicated manufacturing line. 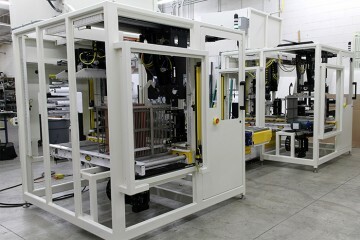 Northfield Automation Systems delivers the equipment, handles the customer-specific programming and brings its vast integration expertise to bear in creating a robotic process solution that works flawlessly – again and again – while delivering significant value. What does this look like? Well, perhaps you have a roll of discrete product that needs to be singulated and laminated to another discrete product. 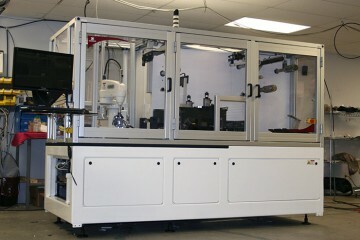 Northfield Automation Systems has created material handling robotics systems where a robot selects the product (wafer, etc.) out of a stack and places it on a transport. The wafer is then laminated to a substrate on a roll, placed on a conveyor and then cut into individual parts. Our custom software programming and deep understanding of interfaces and material handling makes a project of this nature squarely part of our company’s core competencies.